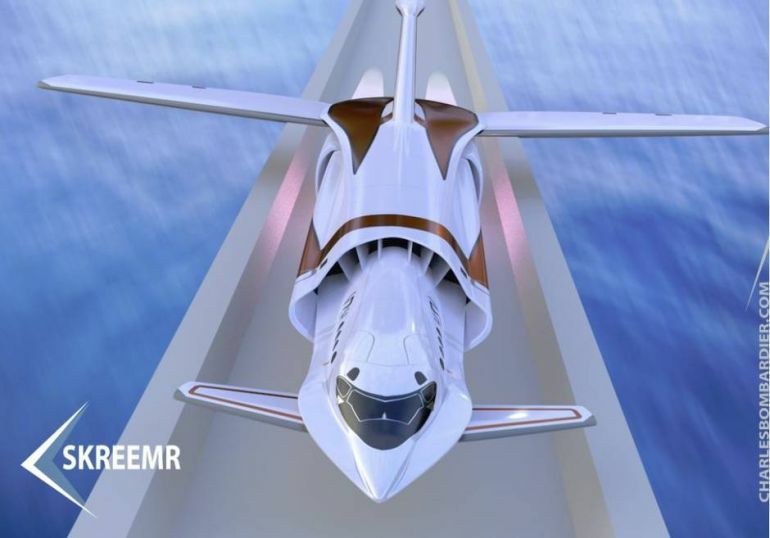 Skreemr: A scramjet passenger aircraft concept that covers transatlantic flights in just 30 minutes! A scramjet-based engine by definition, inducts and then compresses air before the fuel injection and combustion processes. In essence, the (still-nascent) technology is based on the advantageous capacity that makes use of oxygen from the atmosphere, as opposed to relying on combustion of liquid oxygen. 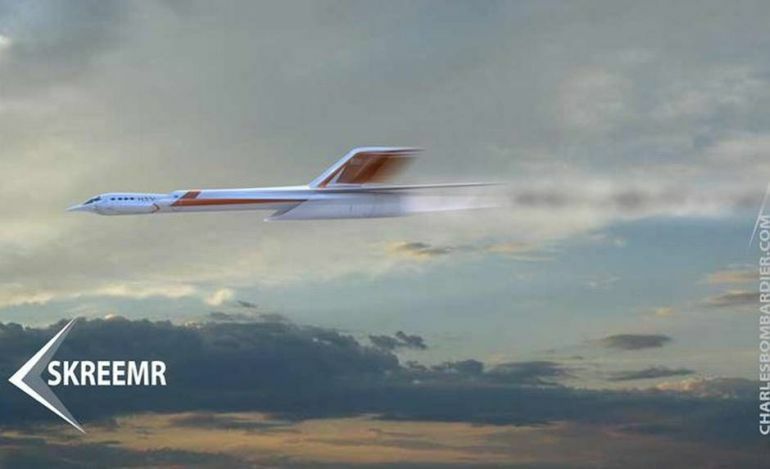 Well this time around, a Canadian engineer named Charles Bombardier, has put forth his scramjet-based aircraft conception that could carry a total of 75 passengers with an exhilarating speed of Mach 10 (or ten-times the speed of sound)! Christened as the Skreemr, the concept in accordance with its advanced credentials, could avoid the need for carrying liquid oxygen fuel. This can technically make the entire craft lighter, which in turn will aid in the higher ‘sound-shattering’ velocities envisioned by the designer. Now of course, while the scope may sound sweet in theory, it is the limitation of practicality that proves to be a hurdle in scramjet technology. Like we mentioned before, the ambit is depended on the ability to compress the incoming oxygen from atmosphere (which would allow the craft to go without liquid oxygen). For this to work, the aircraft needs to already achieve a very high speed that pertains to around Mach 4. Suffice it to say, no passenger plane has ever crossed this threshold, with the closest velocity belonging to Concord that could go up to Mach 2.04. On the other hand, US Air Force is testing their Mach 5 X-51 Waverider – but it is envisaged as an unmanned hypersonic aircraft. 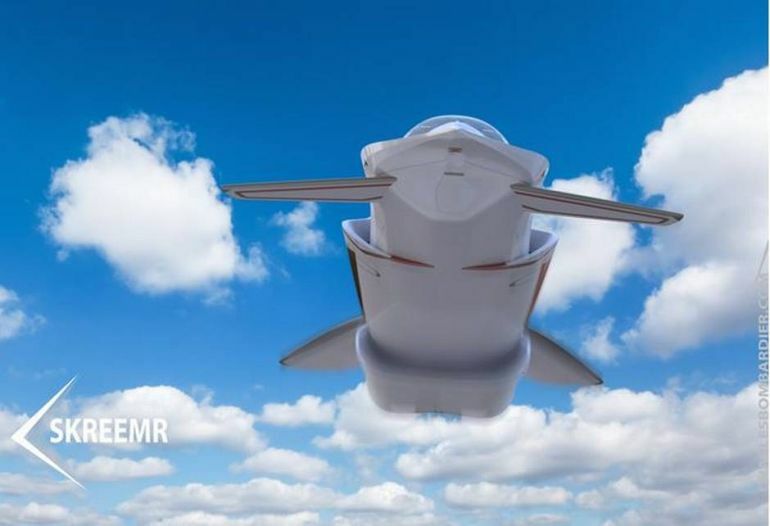 Anyhow, in the case of Skreemr, Bombardier has imagined his conceptual aircraft to be launched with the help of a magnetic railgun system. For the uninitiated, the railgun is basically an electromagnetic projectile launcher which is powered by electricity. In terms of design, the system generally comprises a pair of parallel conductive rails and a sliding armature. Now, when current is passed through the system, the armature is accelerated by the resultant electromagnetic effect, which finally helps in discharging the projectile (which in this case would be the Skreemr aircraft). 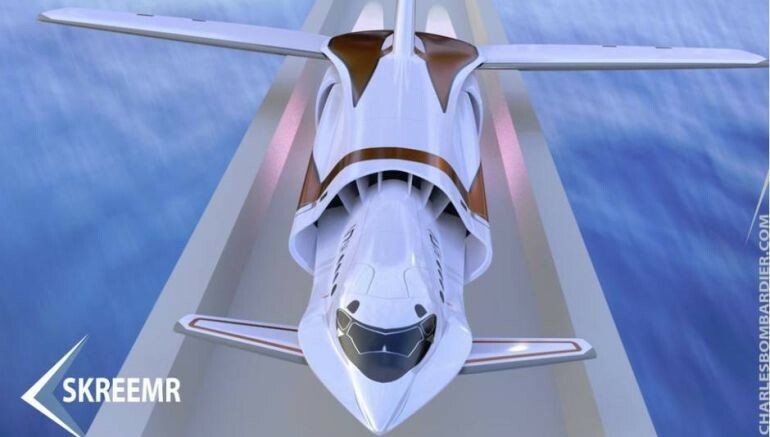 Such a system however should take a relatively long time-period to operate, so as to achieve supersonic speed without affecting the passengers with too much g-force. Once the aircraft is propelled by the railgun, the designers have envisioned two rockets to take over that could boost the acceleration of the flying machine. This maneuver will apparently keep the Skreemr speed over the Mach 4 threshold, thus ultimately allowing the scramjet engine to kick in. And after the boosting procedure, the flight will account for the ‘smooth sailing’ phase with the built-in tech making use of the rapidly incoming air above our planet’s surface as the combustion fuel. 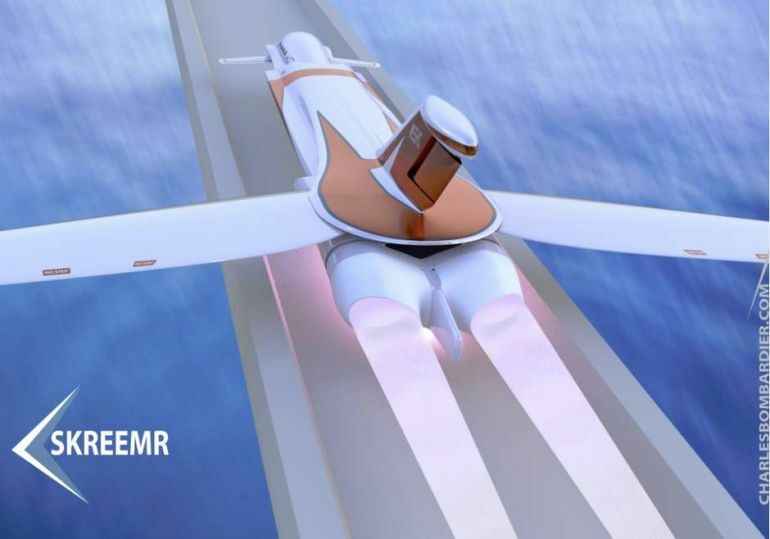 It might be possible to skip the rocket part which would be in use from maglev launch to the scramjet ignition, but this would depend on two things: the materials used to withstand the heat and pressure on the aircraft, and the acceleration that could be sustained by the occupants of the aircraft. With all said and done, unfortunately, it doesn’t take a rocket scientist to figure out that such a technological ambit is currently not achievable with our contemporary systems. Moreover, by the engineer’s own admission, the practical challenge to such an aircraft lies in the density of air at lower altitudes – that can easily heat up the many components aboard the hypersonic flying machine. But keeping an eye on the future, state-of-the-art aircraft materials like this or this, are already being concocted; while electromagnetic launchers for aircraft are also going through actual testing phases. Lastly, in terms of only numbers, Mach 10 pertains to 3402.9 m/s, or basically 7,680 mph. And, the distance between New York City and London is 3460 miles. So, if the technology is hypothetically possible in the future, transatlantic flights could take place in 30 minutes or less duration!